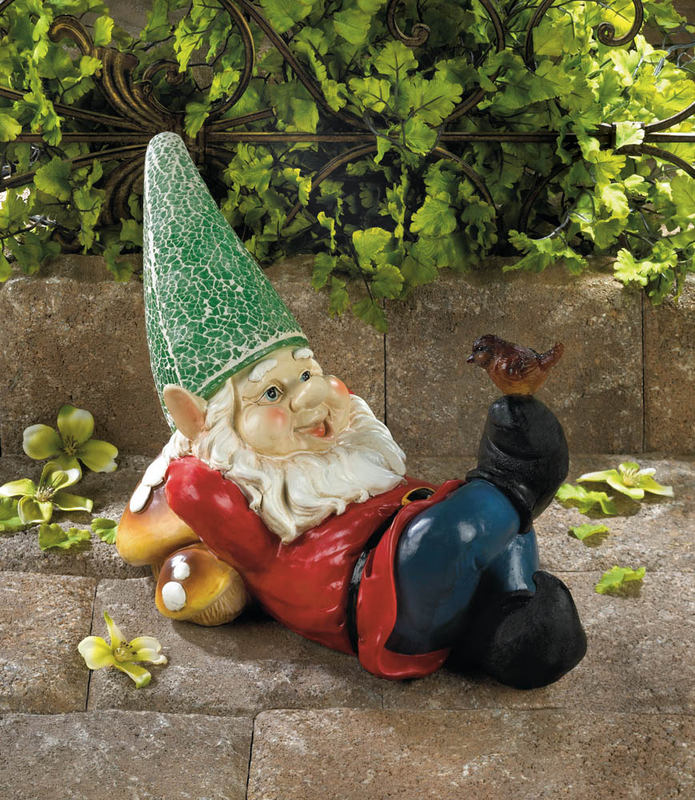 This gnome knows how to relax! 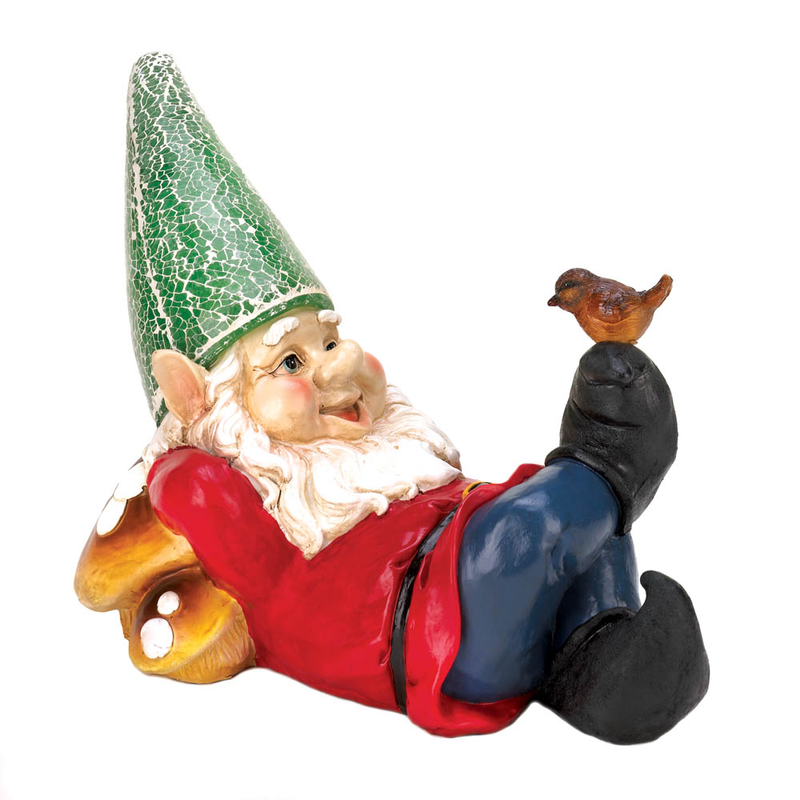 By day, he’ll gladly lounge in your yard or garden with his little feathered friend. 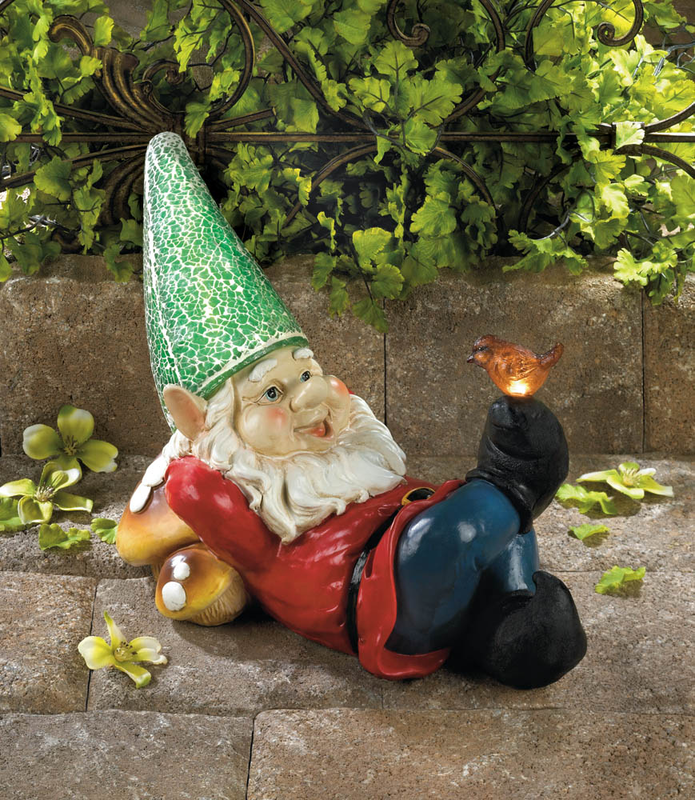 By night, all that stored solar power will make him light up from head to toe. Item weight: 2.2 lbs. 11¾" x 6" x 9" high. Plastic, polyresin and solar panel. 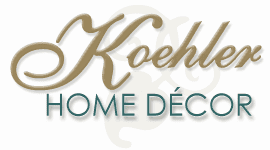 UPC: 849179019921.